Neighbors from Hell on Steroids. All the gorgeous homes on Lowland Way are owned by the right kind of upstanding citizens that anyone would want live by. Kids get to play in gorgeous manicured gardens or even out (gasp) in the street due to a successful initiative called Play Out Sunday where all cars are moved off the streets and the entrances to the road are closed off for the duration of play. It is an idyllic, charming England neighborhood with family oriented neighbors who are apparently all on the same page in regard to lifestyle. That is, until a new couple move into the corner house at one Lowland Way and peaceful times are a thing of the past. Darren and Jodie are rude, insulting, antagonistic, and beyond reasoning with. They love to blast Anthrax and Metallica late into the night. They set up an intrusive home renovation project with no permits, putting up unsightly scaffolding that breaches their neighbor’s property. They run a used car lot from their residentially owned property, their cars taking up most of the street’s parking spots, including a behemoth RV parked in front of a neighbor’s house. They refuse to move their cars for Play Out Sunday. They are literally the neighbors from hell, the worst nightmare any homeowner could imagine. The police nor the town council, including zoning, will do a thing about the situation. Even their late night party complete with rowdy drunks is allowed until one of the residents calls in a drug charge. The next morning, syringes are found on the street along with various party paraphernalia which the other uninvited residents, not the hosts, end up cleaning. Tensions are fraught due to the stress from living with these people. Husbands and wives turn on each other, a B&B business is destroyed leaving the owner in dire financial straits, and children are suffering hearing loss from the noise level. Home values, once high, have precipitously dropped. It’s a mess. Then, one Saturday morning a horrific death occurs and the neighbors mount their defense. Alliances are drawn and secrets are kept as the residents of Lowland Way are pushed to their breaking point. The subject matter, rude and inconsiderate neighbors who have zero regard for others intrigues me. This is my reason for picking up the book. However, it did jump the shark. Things got ridiculously out of hand with neighbors breaking into each other’s homes, installing cameras, and plotting murder. The lack of town intervention at this level was disturbing and I’d really like to think, inaccurate. I have lived next door to some pretty outrageous neighbor behavior, including the selling of used cars out of the driveway and yard in a residentially zoned part of the neighborhood at all hours of the day and night (really). It was shut down and it did not take anywhere as long as the time frame in the book. What bothered me the most is the story’s ending. It left everything up in the air. Lots of drama but no resolution. 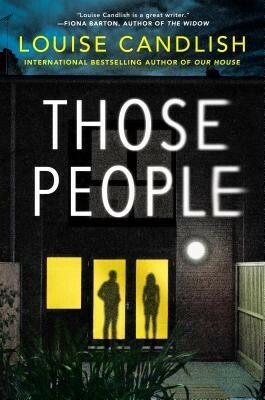 Still, read it to learn just how horrific neighbors can be. Maybe you’ll feel better about your own.